Step up so others wont get stepped on! October is National Bullying Prevention Month. 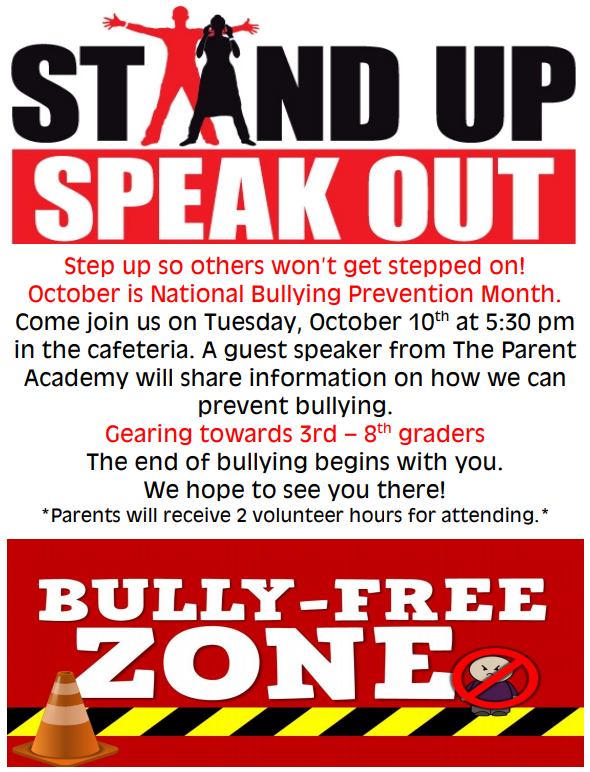 Come join us on Tuesday, October 10th at 5:30 PM in the cafeteria. 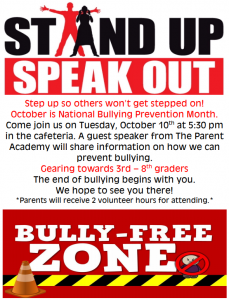 A guest speaker from The Parent Academy will be presenting. Parents will receive volunteer hours for attending. This entry was posted in Uncategorized on October 5, 2017 by APA Front Office.